2. 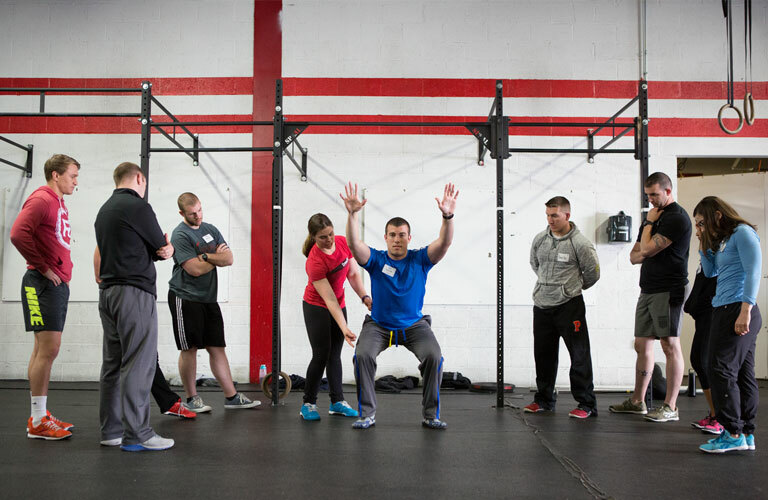 Provide attendees with an initial and foundational education to begin training others using CrossFit. Hold a standard of proper mechanics at high intensity. 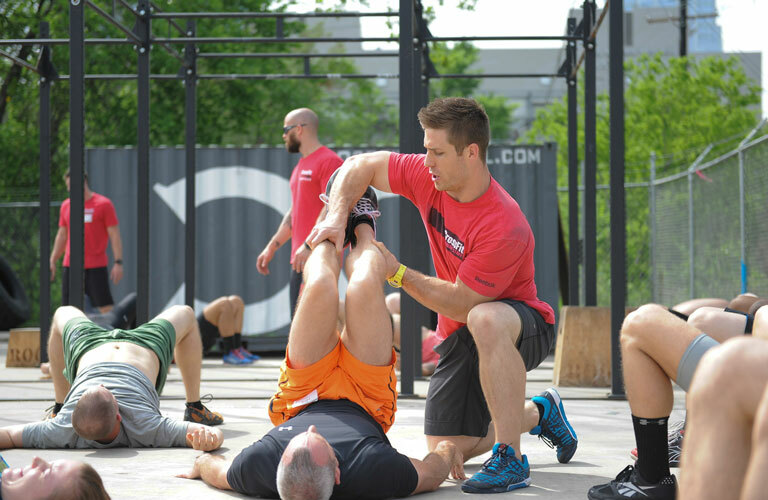 Define the core concepts of the CrossFit program. 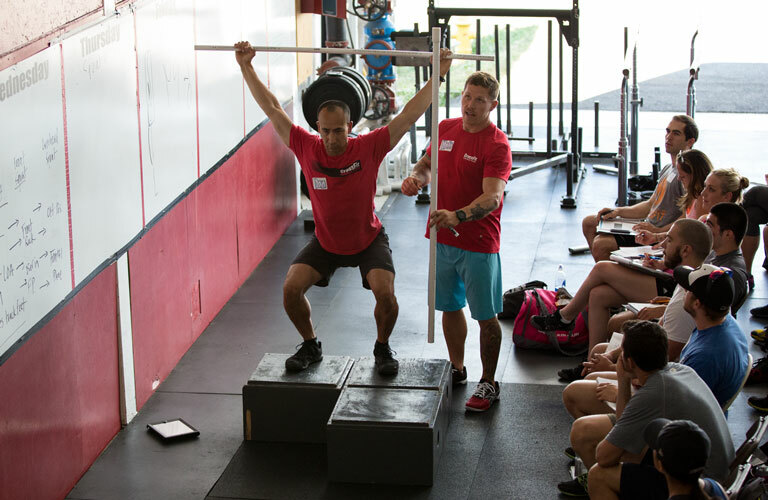 Identify the primary points of performance of foundational and additional movements. Identify violations of sound movement. Apply appropriate corrections toward improved movement. 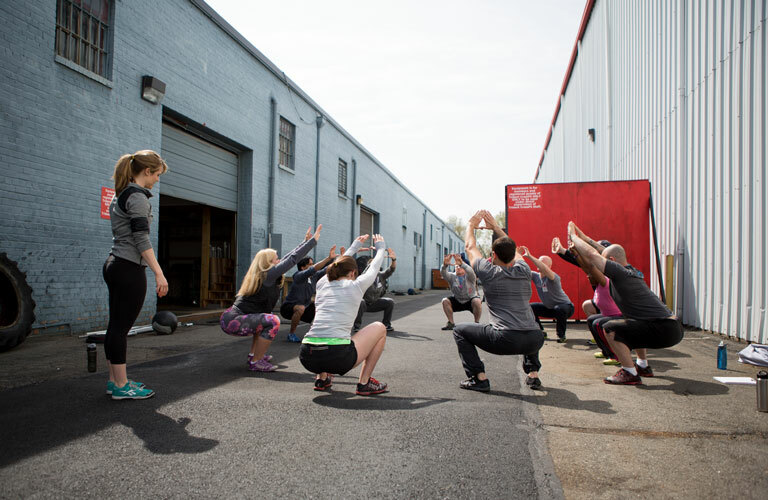 Apply the CrossFit program safely and effectively. have no known documented violations of the Code of Conduct. 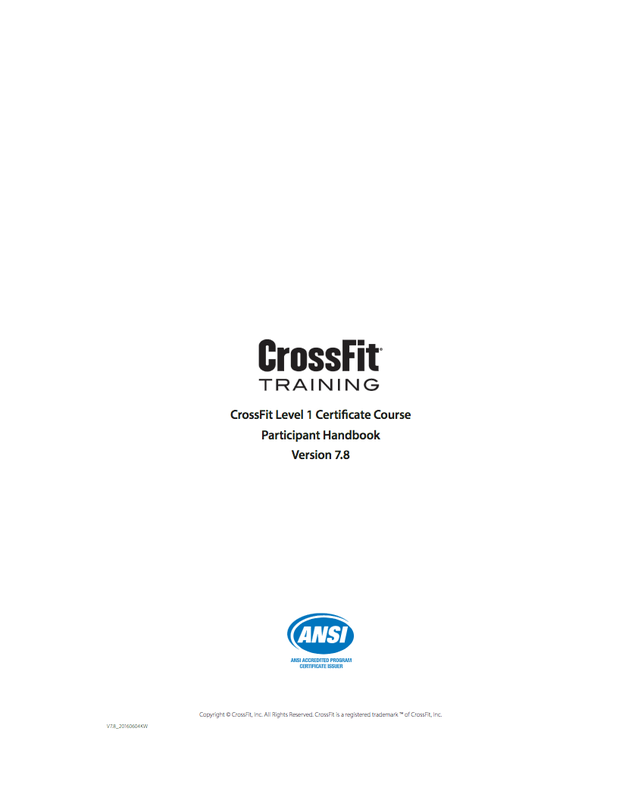 Sign the CrossFit Trainer Licensing Agreement. Agree to the policies outlined in the Level 1 Participant Handbook. Agree to the Waiver and Release of Liability. Agree to the Confidentiality Agreement. Pay all course/test fees in full. The default language for the Level 1 Course is English. In some countries, a translator is provided. Lecture and small-group practical sessions are translated in real time. Courses with a translator are specified in the "Language" section from the event registration link. Generally, translators are used in Latin America and some countries in Europe and Asia. The test is available in multiple languages. For more information, see section 3.3 of the Participant Handbook, as well as the Level 1 FAQ. * CrossFit reserves the right to update pricing at any time. Pricing is applicable at the time course registration is opened. Applicable local taxes are additional. Retest only: US$150 or posted equivalent for courses in Australia, Canada and the United Kingdom. There is a 20 percent fee added if registration takes place 14 days or less from the date of the course. Due to the large quantity of courses scheduled, CrossFit does not accommodate refunds or transfers. 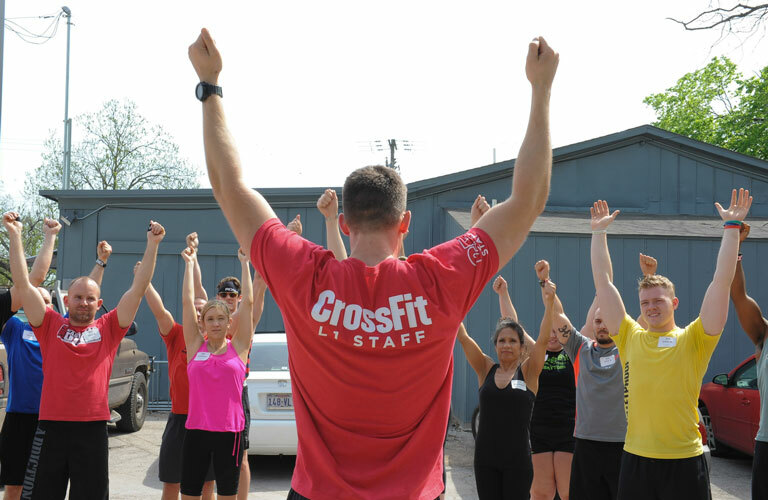 Email seminars@crossfit.com for discounts for active duty or retired military personnel (upon 20 years of service or permanent medical retirement), first responders, and full-time school teachers. Test results are delivered to participants via email five to seven days from the test date. Individuals receive a pass-or-fail result. No numerical score will be issued. 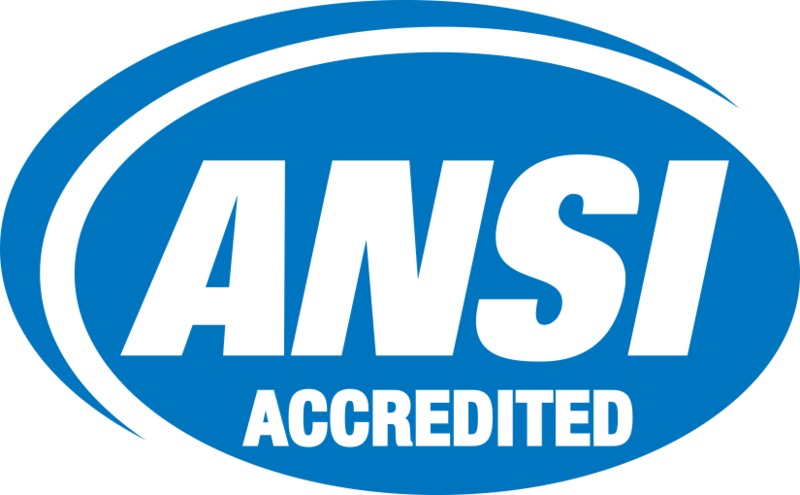 Trainer certificates are individually mailed and can take up to four weeks to arrive for those living in the United States, and eight to twelve weeks for those living outside the United States. Certificates of attendance are emailed within one month of course attendance. It contains the policies and procedures you agreed to during registration. It contains test information, including the number of questions, study tips and sample test questions. It contains an outline of the most recent updates to policies and requirements. Please also read the Level 1 Frequently Asked Questions. The Training Guide provides a foundation for better learning at the course. 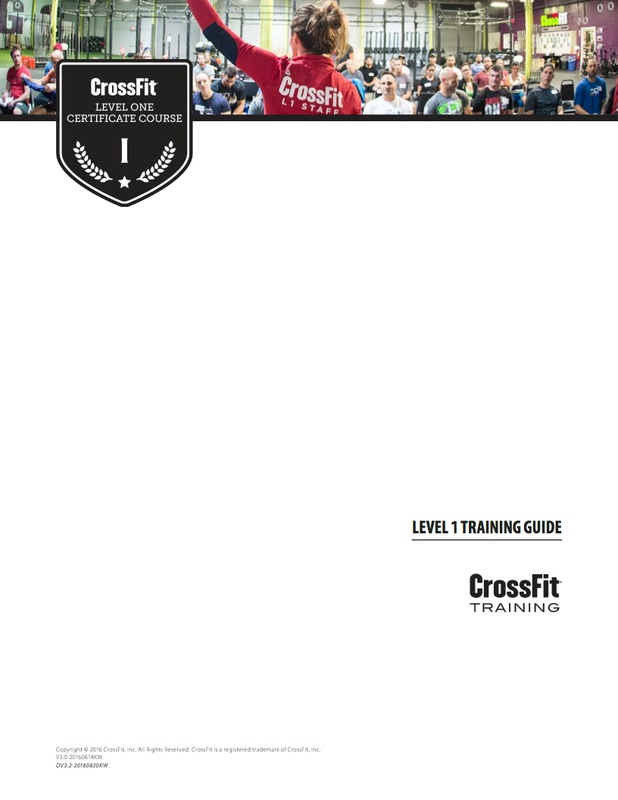 The Training Guide is available for purchase here or for free download here. This can be done on your own via the WOD on CrossFit.com. 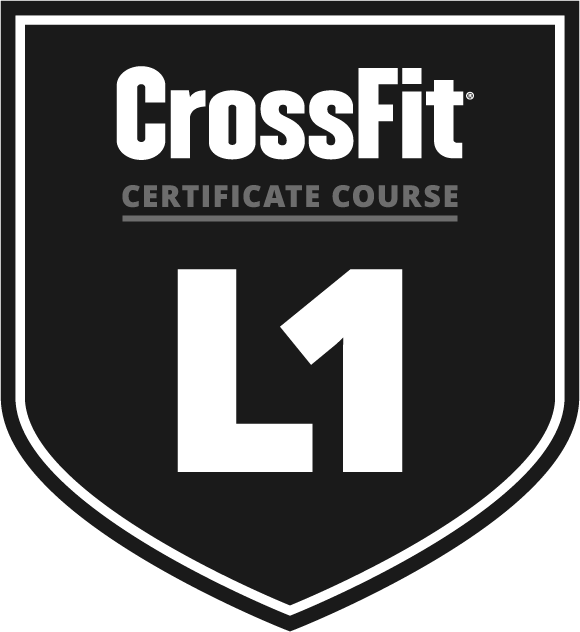 It is also recommended that you find an affiliate near you and trainers with a CrossFit Level 2 (CF-L2) or higher. Search trainer credentials here. This provides a foundation for your experience at the course and enhances learning. Participants receive a T-shirt with course attendance, either on site (outside the United States) or after the course by redeeming an offer via Reebok's online store (United States). Please arrive at 8:30 a.m. on Day 1 to check in. *The schedule may run until approximately 5:30 p.m. in locations with a translator. See "Language" section.